The heat races got under way just as we approached 12:30 in the afternoon. A lot of the people I had talked to said this was a good place to go to see a lot of good cars torn up, I have also been told that the carnage is the reason why some teams actually stay away from this race. The first heat was those guys battling for the third starting spot in the main feature. Names like Tommy Lemons, Jr, Deac McCaskill, David Garbo, and including underdogs like Justin Carroll and Kyle Dudley. Did not take long for things to get crazy in this one though, Kres VanDyke either just didn’t car or his tires and breaks were not warm, drive down into three and right into Jamey Caudill eventually ending his whole day. The race would see another wreck at the end tearing up some good machines in the process but, Lemons, Garbo, Pressley, McCaskill, Yarbrough, J. Carroll, Snider, Waldrop, Dudley and Lee all finished in the top ten and advanced to the feature. Dillion Bassett was in charge of leading the charge into turn one of the paper clip in heat number two. He was being chased down by a lot of good names; Bowling, Peters, Anders, Falk, Waltz all drivers fighting for position in the feature. Off to a much better start than race one even after Berry made it three wide, we were able to see some really good green flag racing. However when ever you have a lot of money on the line you can bet you will have a lot of crazy moves. 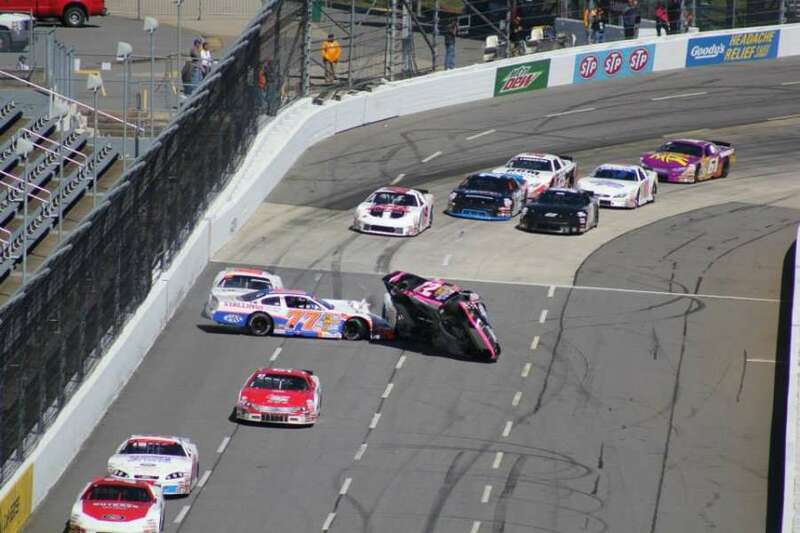 With a total of four cautions in the race the scariest came when the #12 of Ryan Wilson was practically on his side flying through the air before coming down hard. Between the four yellows a bunch of cars had pretty good amounts of damage to them. Bowling, Peters, Bassett, Waltz, Berry, Anders, Gilliland, Falk, Johnson, Mackey were the cars in the top ten and punching their card to the big dance. 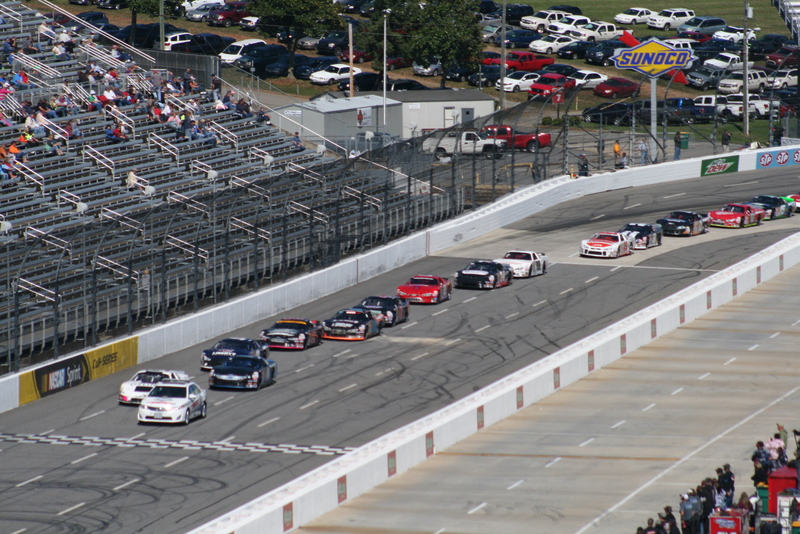 The third and final heat – and yes I say final because the next race was a last chance qualifier – had K&N Pro Series East regular Kaz Grala leading the hunt for the second to final 10 spots in the main event. Grala as of late has been the driver to keep your eyes and ears on. Surprising just about everyone a few months back with the impressive run at the first stop in the VA Triple Crown series at South Boston as well as running strong with the K&N Series, Grala took the green flag and had zero intentions of sharing the top spot with anyone. Phillip Morris, a driver who has won multiple national titles and been to victory lane in this race, was fighting his way up from his tenth place starting position. In probably one of the more tame races Grala cruised to a victory with no challenge from anyone with Tyler Ankrum being the first car in the third head to head to the Last Chance Qualifier. Darne, Byron, McGuire, Looney, Morris, Queen, Swaim, Smith and Haws all advanced as well. 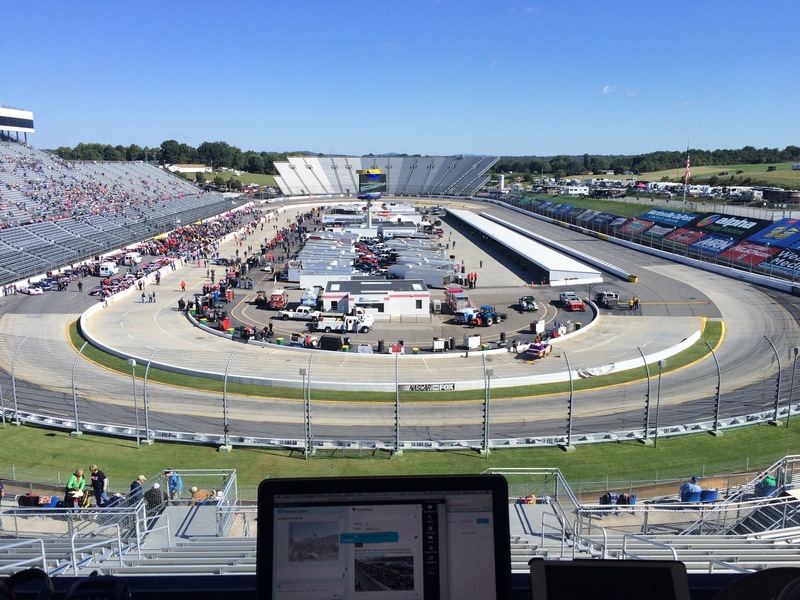 Thirty six cars took to the track for the last 25 lap sprint to find out who the final ten drivers were going to be. Stacey Puryear, Jake Crum* and Tyler Ankrum were the first three cars beings they finished in the eleventh spot in their heat races and would lead the field to green. Crum would actually have to head to the rear of the field for not honoring his black flag in his heat race. With not as many cautions has I would have originally thought but we did see our fair share of torn up race cars and pissed off drivers. To make a long story a bit shorter Puryear would win the last chance race with Tyler Ankrum coming in behind him, what made things interesting was the finish. Jake Crum was sitting perfect, he was coming to the line checkered flag waving in the tenth and final transfer spot when he was turned off the nose of Kres VanDyke and sent into the outside retaining wall hard. Need not to remind you of a previous incident of 50 laps ago that involved VanDyke and ending someones day. Crum was credited with the 10th place finish but with the damage he sustained win the wreck was not ale to get his car fixed for the feature. Take one guess who finished behind him and ultimately took his transfer spot. If you guess VanDyke than you were probably just as pissed off as I was. The fact that this was the second time in two races that VanDyke was allowed to do this was crazy. I understand that a lot is on the line and specially in a last chance race but, NASCAR also has to jump in and make things fair. The only thing I can say is I guess NASCAR officials did not say the contact was intentional and that is why VanDyke did not get penalized. Either way the field was set with 42 of the best Late Model drivers, multiple national title winners, track champions, and even a farther son tandem! There were a few things that were certain; drivers were hungry for that check and that clock, tempers were still flaring and others had points to prove. Check back in with a recap of the main feature in a few!